Proven Shimano technology comes to the new Citica 200 I Series baitcasting reels, including X-Ship for smooth retrieval of your favorite bait. Achieve maximum casting distance and put your bait where the fish live with the combination of S3D spool and the east-to-manage SVS Infinity braking system. Citica reels are available in 7.2:1 and 6.3:1 gear ratios. 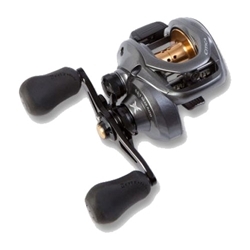 Anglers looking for a tough and durable reel look to the Shimano Citica!